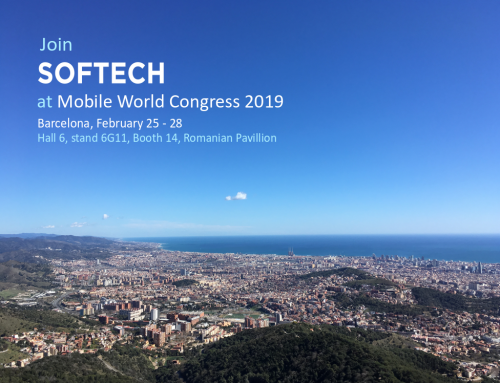 SOFTECH from Cluj-Napoca, Romania is happy to announce that the company will feature its AI and IoT development services and apps at the upcoming Mobile World Congress, 25 – 28 February 2019. What Will Be on Stage at The 2019 Technology Show? As usual, every seminar, conference, talk, exhibition stand and event will follow under a main theme. For 2019, we have in store seven main themes: artificial intelligence, Industry 4.0, immersive content, disruptive innovation, digital wellness, digital trust, the future. The AI – Artificial Intelligence theme is in the spotlight for its huge potential. Explorations of AI use are assiduous and the global market is estimated to reach $70 billion by 2020. At SOFTECH we have been developing AI apps for education and science purposes, but the application fields may be broadened according to the consumer or beneficiary request. Fact is, we are clearly standing in front of a fundamental technology revolution. Industry 4.0 theme goes beyond the automation of manufacturing technologies and cumulates the cyber-physical systems, the IoT systems, cloud computing and cognitive computing ecosystems. The challenges of the day refer to IT security aspects, reliability of the M2M communications, protection of the industrial know-how, new skills-sets required from the Human Resources, new legal grounds and certifications. 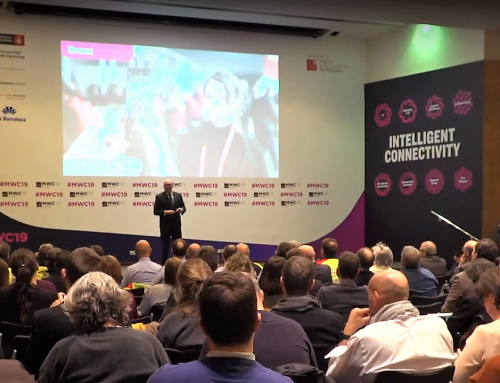 Immersive Technologies will focus on content next year at the famous MWC event. Since now there are a set of functional AR, VR and other technologies, producers and potential consumers are looking for immersive content. Let’s see how can we enjoy the realms of immersion tech and what are the most intriguing obstacles in the wide-scaling of this technology chapter. Disruptive Innovation could not have been missed from the main themes menu. The mere existence of the 4YFN stage is the manifest of actively seeking innovative ideas and models. Barcelona has become an iconic meeting place for the innovation disruptors and maverick of the IT world. The tradition continues, and we will try to our best to be part of it. Digital Wellness is a new concept that tries to set pull an alarm signal for the mental implications of living in a digital world. Smartphones, smart homes, smart cars, and smart networks could alienate our human perspective on society, environment and the physical world. A set of talks, solutions and behavior guides will be outlined at the event. Digital Trust puts an emphasis on the responsibilities of the users, governments and regulators in the digital data world. Are we ready for the AI based world? 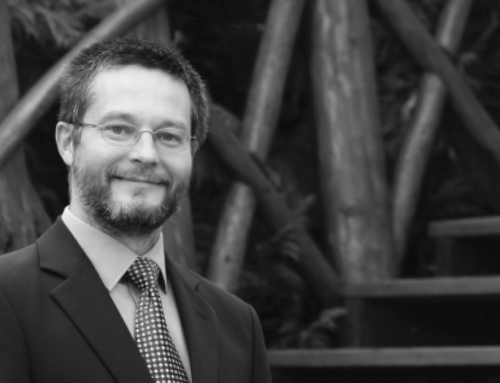 Can we control in total safety the data we are working with? Where is the fine line between privacy and public security? The Future is a progressive outlook on what technologies will be in place by 2028 and what new technologies are emerging. It is a double sided theme: on one hand we tend to project that technologies that we think we want to have at our hands in the next 10 years, on the other hand there are unknown answers to growing societal issues. This theme probably delivers the most interesting collective output of the leading technology event in Barcelona. 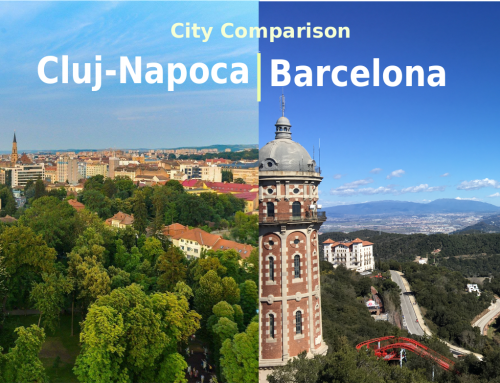 SOFTECH, the software development company from Cluj-Napoca, Romania has been delivering reliable integrated software ecosystems for the past 20 years. At this moment of the IT and tech industry, our software expert team will display at MWC2019 the AI and IoT capabilities in strong relation with the full automation processes of software development, of communication systems and complex industrial processes. Having an award winning background for various industries, we are clearly motivated to engage in complex software development processes and to deliver high-quality software solutions. 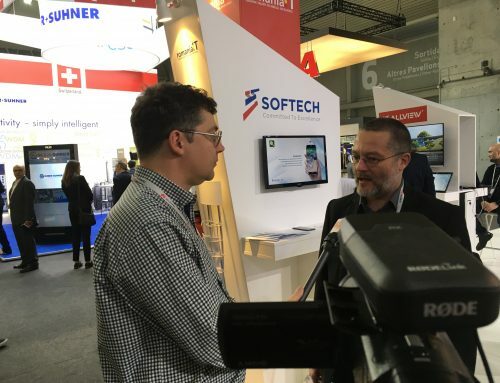 More information on our participation at Mobile World Congress 2019, soon!